Lumijo-jewelry is a finnish webshop of handmade jewelry, set up in 2010. 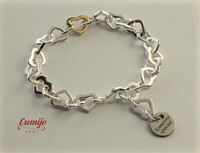 Lumijo-jewelry offers you the finest quality jewelry for party and everyday use. All jewelry are their own collection and in many jewelry there is a small message or idea. Lumijo-jewelry has a lot of glitter and glamor, but also simpler jewelry for everyday use. All metal parts used in Lumijo-jewelry are nickel and lead free and partly self-tested. The range includes both the unique and jewelry collections. All jewels are my own design and ideas. The collection has been designed to take into account the durability and practicality of the jewelry in addition to appearance. Textjewelry uses high quality 999 silver plated tiles that lasts long and can be cleaned with a cloth. Most textjewelry uses a chain with a thick silver plating, which, when combined with the finely-crafted tiles, is durable in use. Lumijo-jewelry also offers a lot of modifiable lanyards, that have been made to last for the weight of a key or a keycard. Most lanyards can also be used as a jewelry. 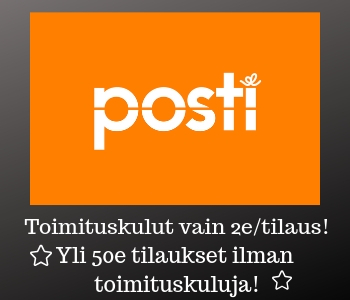 The Vintage menu has a collection of old finnish designjewelry based on the makers own collecting hobby. Jewelry is genuine silver or bronze. Vintage jewelry are so called. second hand jewelry. The name of the company Lumijo consists of the names of my three lovely children Lucas, Mirella and Joni. WELCOME TO SHOP Lumijo jewelry!